Yesterday, NPQ published “Is Your Board ‘Normal’?” That feature took a look at some of the findings of “Leading with Intent,” the 2014 BoardSource Governance Index. While we had your attention drawn to the topic of governance, we wanted to provide you with some other valuable thinking on the topic via this review. 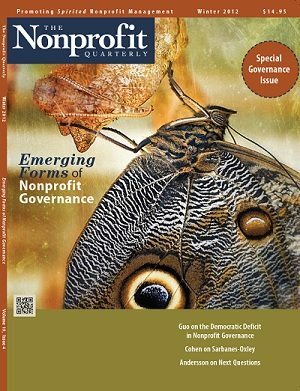 In this unique study, nonprofits report on their transactions with board members—some for the better and some for the worse.